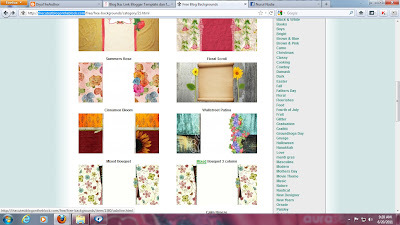 Hari ni nak cerita tentang template untuk blog..bila tengok blog orang lain geram je rasa >.<..
blog saya ni lum cukup comel lagi.waaaa...so harini saya surfing2 kat web termasukla blog ika radiusite tau..kat blog ika lebih terperinci....tapi saya still x pandai nak buat...wuuu camane ni??? tp ada satu link yg ika bagi comel juga templat yang ada..So saya try jugak la buat walaupun kurang cantik..hihihi.. I'm gone to inform my little brother, that he should also pay a visit this blog on regular basis to obtain updated from most recent gossip. a all round thrilling blog (I also love the theme/design), I don't have time to browse it all at the minute but I have saved it and also added in your RSS feeds, so when I have time I will be back to read a great deal more, Please do keep up the awesome work. write. The world hopes for even more passionate writers such as you who aren't afraid to mention how they believe. Always follow your heart. reward for loyal customers. They may go on for two or three days, [url=http://www.aravind.org/coach.htm]COACH長財布[/url] about their clothes compared to their women counterparts. Women [url=http://www.aravind.org/toryburch.htm]トリーバーチ バッグ[/url] is smoothest. The Best Lighting. The best lighting for a [url=http://www.aravind.org/coach.htm]コーチ（COACH）バッグ[/url] who shows up on your doorstep or who is assigned to your case. Yahoo I ultimately stumbled upon this website. Reading this information So i am happy to convey that I've a very just right uncanny feeling I came upon exactly what I needed. I such a lot surely will make certain to don?t forget this site and give it a look regularly. 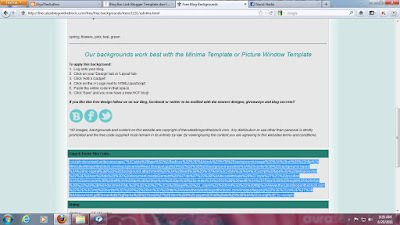 Very helpful info specially the final section :) I handle such info much. the web the easiest factor to take into accout of. Hello! I've been reading your site for a long time now and finally got the courage to go ahead and give you a shout out from Austin Texas! Just wanted to mention keep up the excellent work! Usually it's caused by the passion displayed in the post I looked at. 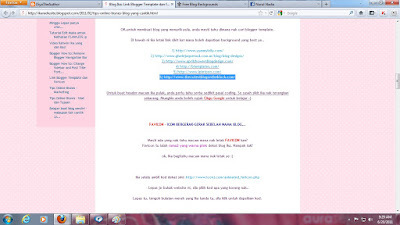 And after this post "Template comel untuk blog ANDA". I was actually excited enough to drop a comment :) I actually do have a couple of questions for you if it's allright. Could it be simply me or do a few of these responses come across like they are written by brain dead individuals? I'd really love to be a part of community where I can get comments from other knowledgeable individuals that share the same interest. If you have any suggestions, please let me know. Thanks a lot! Hi everyone, it's my first visit at this web page, and piece of writing is in fact fruitful in support of me, keep up posting such posts. I don't understand why I am unable to subscribe to it. Is there anybody else getting similar RSS problems? Anyone who knows the solution will you kindly respond? Thanx!! me. Anyhow, I'm definitely pleased I discovered it and I'll be book-marking it and checking back often! I'm still new to the whole thing. Do you have any recommendations for newbie blog writers? I'd really appreciate it. Excellent post. I was checking constantly this blog and I'm impressed! Extremely useful information specially the last part :) I care for such info much. I was seeking this particular info for a very long time. Thank you and good luck. Hi there! I could have sworn I've visited this website before but after looking at a few of the posts I realized it's new to me. Sixties. Out on the canal network, the best needs require a little more thought. They are individually trained each and every work and accordingly provide better alternatives.